Published on August 9, 2016 in cottage holidays UK, Holiday Ideas, inspiration, News, Self catering holidays, top destinations, Travel Inspiration and Yorkshire Moors. Closed Tags: olympics, self-catering breaks. The Olympic Games in Rio are now underway and team GB has kicked off their campaign in commendable fashion! – picking up their first batch of medals at this most prestigious of tournaments. 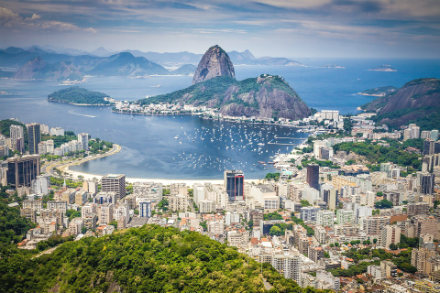 To celebrate this success, and the successes that are sure to follow, we thought we would take a look at the Olympic origins (the birth towns) of some of team GB’s most successful and decorated athletes. In 2012, to celebrate a gold medal winning effort by a team GB athlete, the government introduced a set of commemorate golden post boxes to highlight that the respective town is home to the best of the best in some form of sport! These post boxes remain scattered throughout the country as a reminder of the success of the 2012 games by the GB athletes and also as part of our legacy as the host nation. These boxes are found all the way up and down the country- from Lossiemouth to Penzance- and are often in some of the UK’s most wonderful and popular holiday destinations for a self-catering holiday. We have chosen to write about just a few of those towns where an Olympic hero was born/raised to highlight the diversity of the team GB pool of talent and also the various wonderful areas of the UK in which they were born. This wonderful coastal town is famous for its historic ports and link to pirates. The vast number of palm trees in the area and the calm shores of Mount Bay draw in visitors from all round. Perhaps most notably guests come to visit the unique and wonderful St Michael’s Mount which appears to hover over the water. Penzance is also, quite appropriately the home of rowing gold medalist Helen Glover (who won gold in the women’s coxless pair in 2012). Edinburgh is not only one of the UK’s most stunning and picturesque cities, it is also the home of 6 time gold medalist (two of which were won in the London games of 2012) Chris Hoy. Hoy is the most decorated British cyclist of all time and, along with fellow cyclist Bradley Wiggins, has the most gold medals of any British athlete. The city of Edinburgh is very highly regarded by those who have lived there or visited the area, an area which is surrounded by miles of breathtaking countryside. Despite its rural surroundings, the city itself is full of life and excitement. 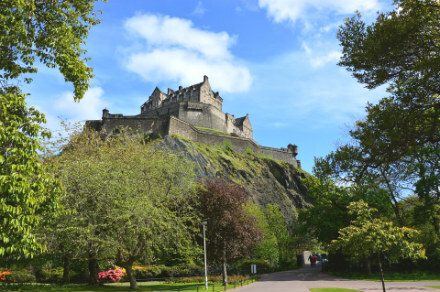 There are a whole range of historic sites to see, such as Edinburgh Castle as well as a number of natural landmarks and this rich combination of attractions makes Edinburgh a special place. This charming little village in Yorkshire is full of character and is lays within a stunning countryside setting. There is a lot to see and do in this tranquil place, you can simply enjoy a walk down by the river, through the wooded valleys or into the moorland area, or you can visit surrounding village such as Appletreewick or Linton. A gold post box for Andrew Trigg’s Hodge’s gold medal rowing effort is also found here. This charming Welsh town is in a prime location that is just twenty minutes in one direction to the Welsh hills. Head twenty minutes in another direction and you will find yourself exploring the rich history of Chester and the surrounding area of Wrexham itself, such as the Valley Crucis Abbey. A more recent piece of history for the area comes in the form of a golden post box which was erected to commemorate Tom James’ gold medal winning effort in the rowing (men’s coxless four) in 2012. The famous Snowdonia National Park is also just a 1 hour drive away and the area is well linked to North Wales, making it a fantastic base from which to holiday in Wales. The few towns here selected represent four of the over thirty towns, cities and villages throughout the UK which gained a golden post box because of the efforts of locally grown talent. Some towns have more than one owing to athletes winning multiple medals and, despite GB only winning 29 gold medals at the games, there are more than twenty-nine post boxes because of team sport efforts. All of these post boxes reflect the diversity of the British athletics, but also of the UK as a place. The UK is made up of extremely different and unique areas and this has helped to make it such a popular and wonderful choice for a self-catering holiday. Click any town name above to see what self-catering accommodation Cottage Gems has to offer in the area.